It is wonderful to think about the foods that are growing all by themselves which will make a great snack as we are out for a walk. Sheep sorrel and miner’s lettuce come to mind often found close to a path. Their tender leaves and lively taste are fun to discover and nibble. Not to rain on this feast, but a word for attentiveness: many of us, me included, walk with our beloved dogs along these paths. Dogs are such great companions, and, as you’ve noticed, they do have a habit of lifting their legs or having a quick squat now and then. Keep that in mind when you pick your snack. Your garden will also give you tasty food at this time of year, not necessarily from the stuff that you planted but from the weeds that come up all by themselves. Chickweed, dandelion greens and pepper grass are often ripped out to make way for our own plantings, but they are delicious and nutritious greens to enjoy by themselves or added to whatever salad we might be preparing. A picnic idea, for totally biodegradable plates to eat from, (no dishes to wash when you are finished), use skunk cabbage leaves. Don’t get carried away and try to eat your plate. The only part that is good medicine is part of the root, but that takes a lot of drying and processing, so for now just enjoy your single use, entirely expendable green plates. 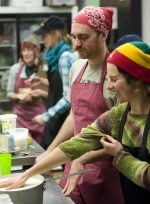 The Food Program will hold a Soil and Compost Workshop on Sunday, May 11th from 10:30am-12:30. Barry New and Roger Pettit will lead a discussion and demonstrations about the soils we encounter on Galiano. 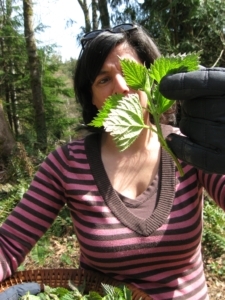 The topics covered will include soil of Galiano and sampling suggestions for you to try at home. 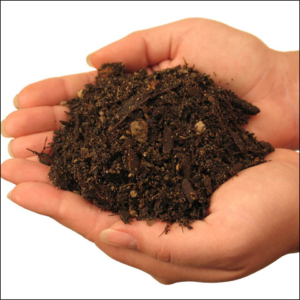 There will be many ideas to improve any soil with organic methods without a big outlay. We will have the results of our soil testing for the allotment site and soil sampling suggestions for you to try at home. The workshop will take place at the new allotment site on the Lions Field. This is the area behind the ball field and Health Care Centre. The newly formed Galiano Allotment Society is developing this garden site on land that has been recently cleared and fenced, and the workshop will include an introduction to the allotment site. Come with a sample of your own soil to be viewed by the “experts”. The Food Program is hosting Ken Cameron, instructor, on Saturday, April 26 to teach the Conservation Outdoor Recreation Education (CORE) course, a program for BC residents who are 14 years of age or older. It covers conservation, ethics, law and regulations, first aid and survival in the wilderness, firearm safety, and animal and bird identification. This course is required in order to get a hunting license. There is still space available—Contact us if you’re interested in registering!